Narrow mesh pressure locked gratings are used as entrance door mats, in pedestrian traffic areas and public places. 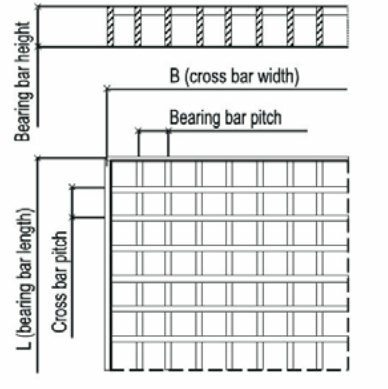 In installations using these gratings bearing bar direction must be identical to walkway direction. When installed in a different direction to gratings should be serrated. Pressure locked gratings are used in platforms, walkways, building fronts, basement covers and all architectural uses. 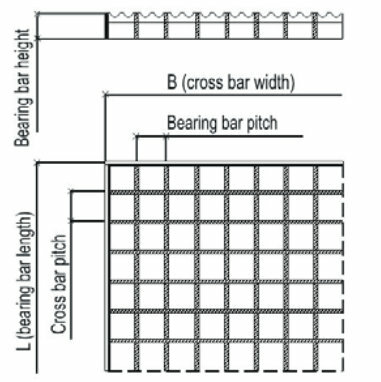 Gratings of the same size will guarantee bearing bars and cross bars to be aligned. Naturally, deflections under load must be limited for safety reasons. The permissible deflection ‘f’ under load will be 1/200th of the span, maximum 4mm. Within grating platforms cut-outs and shapings must be provided before galvanising to permit pipes or structural columns to pass through. In cases where the distance between grating and vessel or pipe exceeds 30mm kickflats are required. According to DIN 24533 standards these kickflats must have a minimum height of 50mm above the platform surface. All installed gratings must be fastened in four corners to avoid the panel sliding from the substructure in case of a loose bolt. In vehicle areas regulations according to DIN 1055 and DIN 1072 standards must be observed. In especially hazardous areas, serrated pressure locked gratings meeting instructions ZH 1 571 of the occupational safety authorities should be installed. 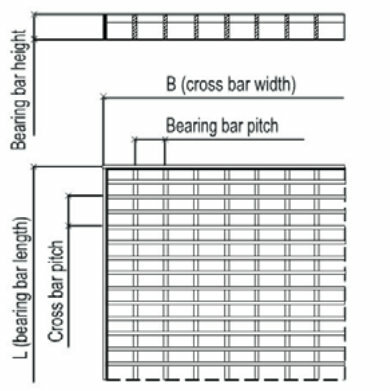 Serrated pressure locked gratings are fabricated and serrated bearing and cross bars. These gratings were approved by the occupational safety authorities. Anti-slip properties are evaluated in groups. Based on requirements, products of groups R10 to R13 are specified. Pressure locked gratings are neat in appearance with smooth lines and used in platforms and walkways for pedestrian traffic in both the steel construction and civil engineering industries. They are especially suited to all types of architectural applications including grilles, screens and balustrades. Narrow mesh pressure locked gratings are required in all flooring applications in entrance areas of public buildings and in front of store windows. Heavy duty pressure locked gratings are available for vehicle applications. We also supply serrated pressure locked gratings where dirt, oil and grease make normal gratings hazardous. Narrow mesh pressure locked gratings are used in heavy pedestrian traffic areas and as entrance mats. Pressure locked gratings are fabricated according to DIN 24537 standards. In pedestrian traffic areas gratings are dimensioned to meet the guidelines of the occupational safety authorities (instruction ZH1 196) and test regulations RAL-GZ 638 in such a manner that they will carry a single load of 1kN within a 200x200mm area. Heavy duty pressure locked gratings are ideally suited for trench covers and truck wash sites. 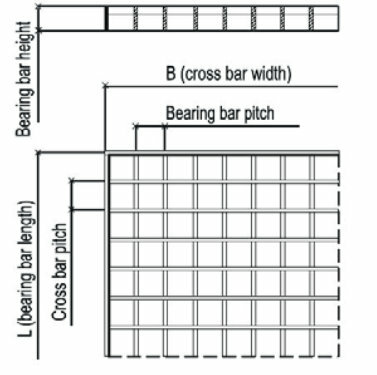 Dimensioning is subject to loads and required span. Single loads specified in DIN standards, classes SLW and special loads can be accommodated without problems.